Getty Images/Justin SullivanOracle co-CEO Safra Catz. Though Oracle matched analysts’ revenue targets and beat adjusted profit estimates during the company’s fiscal third quarter, its stock was down more than 3% in after-hours trading. Making good on years of promises, the company reported strong cloud growth, a vital area for the 40-year-old database company as it looks to catch up with more established cloud rivals at Amazon Web Services and Microsoft. Oracle reported $US1.6 billion in revenue from its cloud services – which includes a mix of its software, platform, and infrastructure services – up 32% from the year before. But overall, Oracle reported losses of $US4 billion for the quarter and a loss of $US0.98 per share, which it attributed to the new GOP tax law. 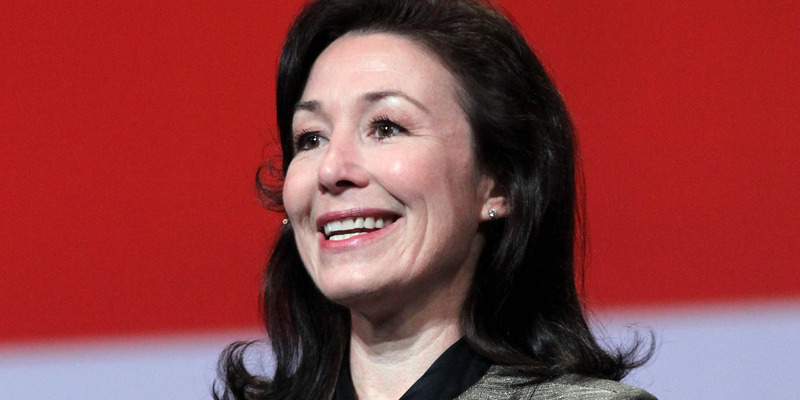 Still, co-CEO Safra Catz remained optimistic that the company would continue to perform well on a non-GAAP basis. Earnings per share (adjusted) was $US0.83, up 16% from the year before. Analysts expected $US0.72. Revenue (GAAP) for the quarter was $US9.77 billion, up 6% from the year before. Analysts expected $US9.78 billion. Cloud revenue at the company was up 32%, to $US1.6 billion.